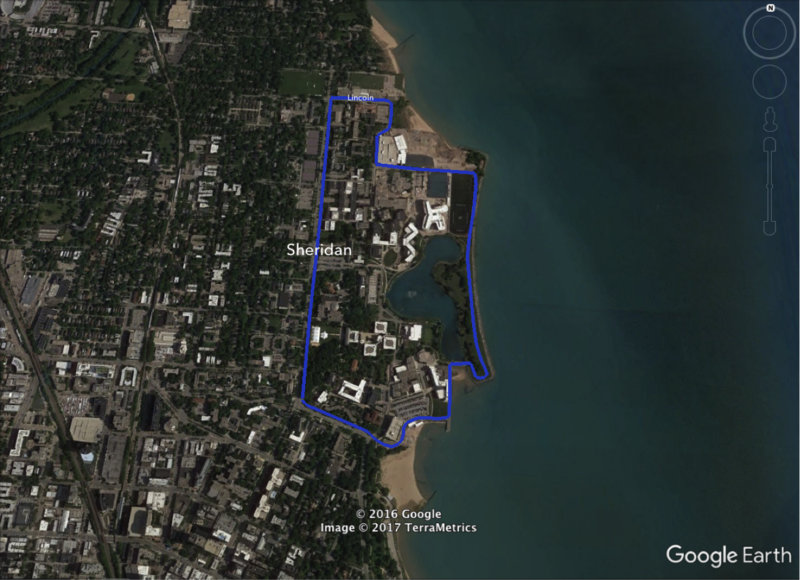 Sandwiched between a Midwestern metropolis, a Great Lake and a leafy suburb, Northwestern’s location provides a wide variety of running routes on and around campus. We all know school can make you want to run away sometimes, so why not literally do that? 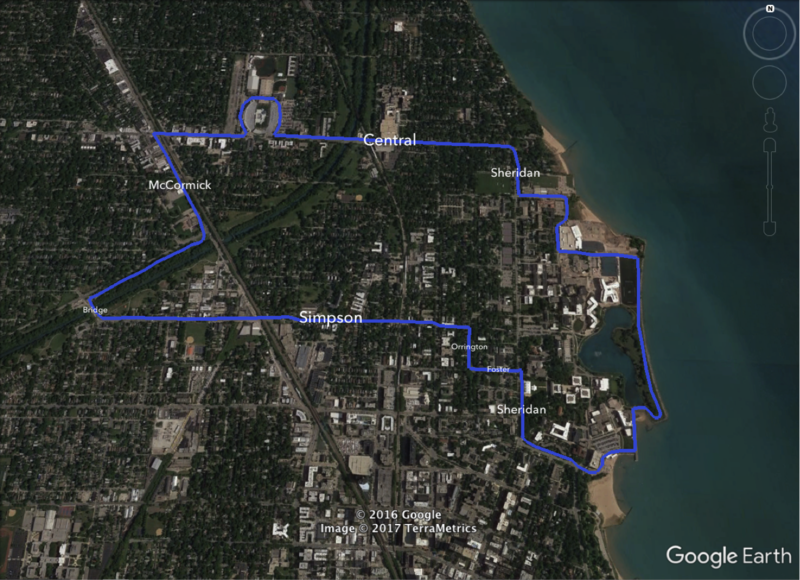 These nine routes will take you through the sights of campus, Evanston and surrounding suburbs and the beautiful Lake Michigan shore as you strive to achieve that summer bod while simultaneously avoiding your other responsibilities. 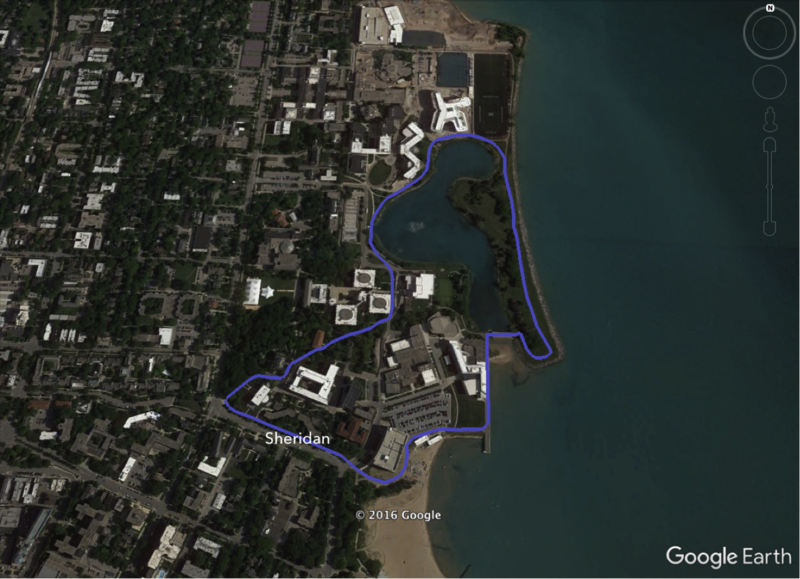 Directions: Set out east down Sheridan towards the lake; follow the path around the Segal Visitor’s Center towards Bienen; cross the bridge onto the Lakefill; turn left at New Kellogg and follow the path around the lagoon; take a slight right onto the road between Norris and the Library; follow the path past Annie May Swift and University Hall and end back at the Arch. 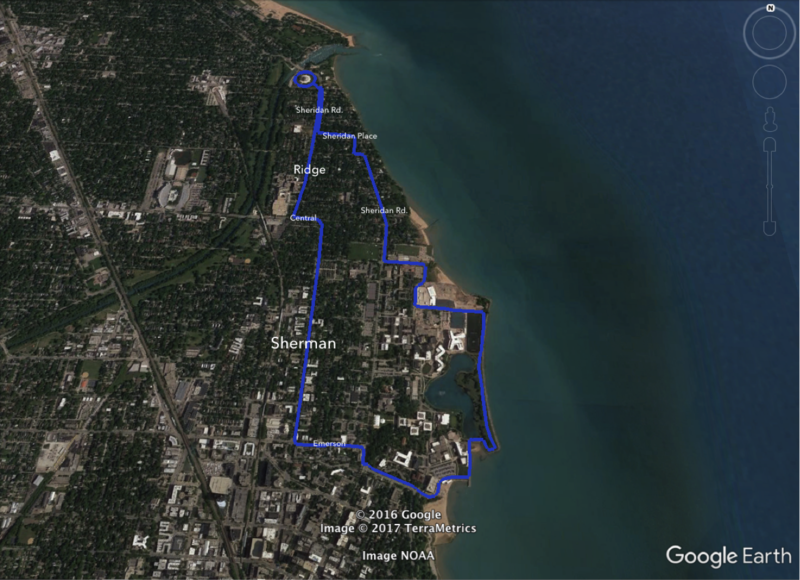 Directions: Head east down Sheridan towards the lake; follow the path around the Segal Visitor’s Center towards Bienen; cross the bridge onto the Lakefill; run north along the Lakefill past the lakefront fields; turn left to head towards SPAC; take a right around SPAC and follow the sidewalk along Lincoln back to Sheridan; turn left and run down Sheridan back to the Arch. 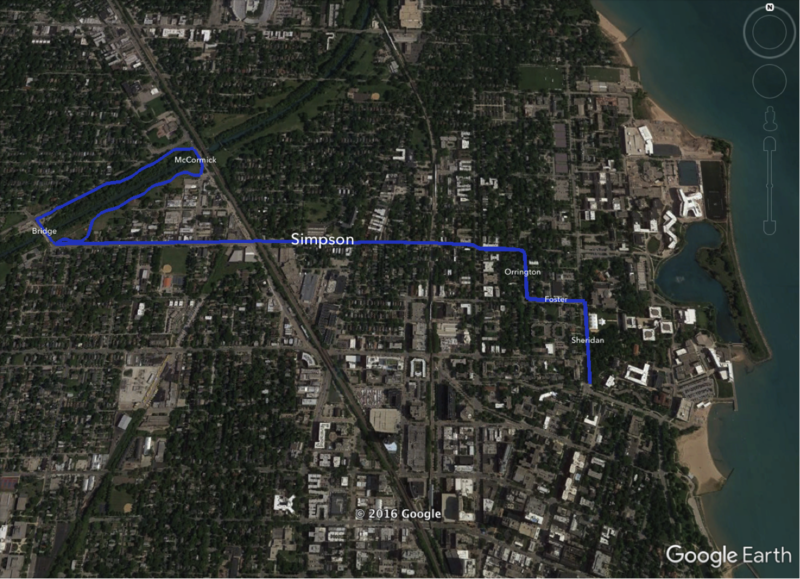 Directions: Head north on Sheridan toward Old Kellogg; cross onto Foster and head west until you get to Orrington; turn right to head north on Orrington until you reach Simpson; turn left to head west along Simpson; follow Simpson until you reach Bridge Street; cross the North Shore Channel; turn right to run along the path through the Ladd Arboretum; turn right along Green Bay Road and cross back along the channel; run southwest along the path through William H Twiggs Park until you reach Simpson again; head back east the same way you came to get back to the Arch. 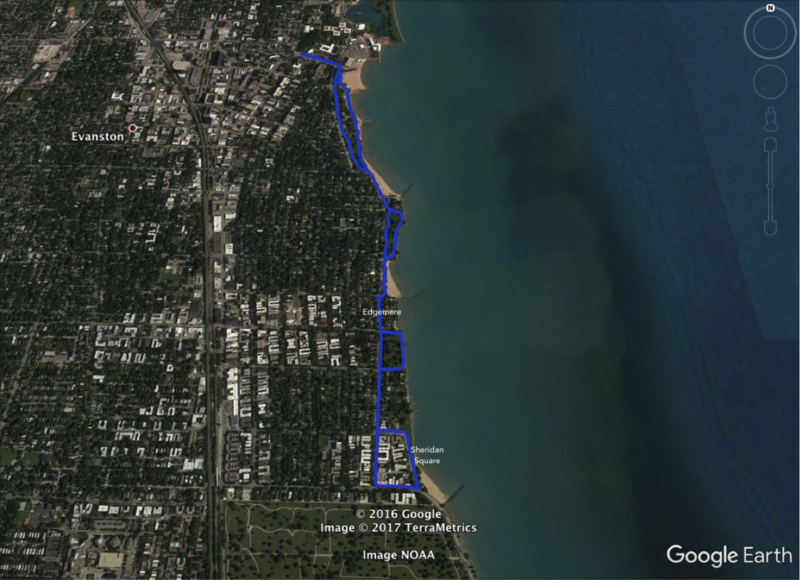 Directions: Head east along Sheridan towards the lake; turn right onto the bike path parallel to the lake; follow the path south until the end; once the path ends, continue south along Edgemere Court; run south along Sheridan Road until Sheridan Square; turn right onto Sheridan Square and follow it until it intersects with Sheridan Road; turn right onto Sheridan Road heading west, then take another right to head north on Sheridan Road; run the same way you came, but take the paths nearer to the lake in Clark Square Park, Elliot Park and Dawes Park; turn left to head west on Sheridan and arrive back at the Arch. Directions: Follow the same directions as though you’re running the campus loop, but instead of turning left to go south on Sheridan at Lincoln, turn right to go north; keep running north until you reach the curve; follow the sidewalk as it turns east and you’ll see a street to your right; turn right onto Sheridan Place and follow it until it connects back up with Sheridan Road; head north on Sheridan until you see the crosswalk to the Baha'i temple; cross the road and make a loop of the temple along the path; head back south on Sheridan; cross onto Ridge and keep heading south until you reach Central; turn left on Central and head west for one block; cross the crosswalk onto Sherman Avenue; head south along Sherman until you reach Emerson; turn east onto Emerson and head back towards the Arch. Directions: Follow the same directions as though you’re running the campus loop, but instead of turning left to go south on Sheridan at Lincoln, turn right to go north; cross Sheridan at the intersection with Central and begin heading west; keep heading west on Central until you reach Ryan Field; turn right into the parking lot and make a loop of the stadium; continue following Central west until you cross under the railroad tracks; turn left onto Green Bay Road headed southeast; cross McCormick Boulevard and turn right to run through the Ladd Arboretum; cross the river on Bridge Street, then head east on Simpson; follow Simpson east to Orrington, then turn right to head south; turn left onto Foster heading east; cross Sheridan in front of Old Kellogg and head south back to the Arch. 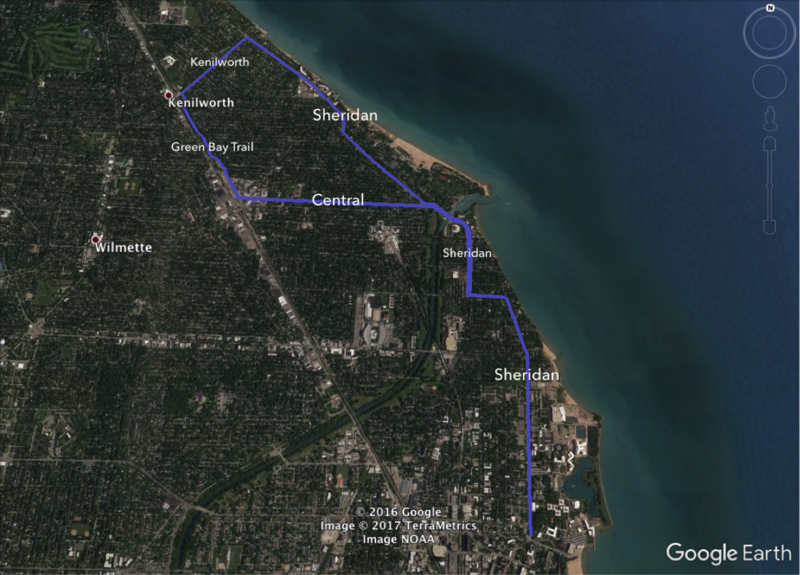 Directions: Head north on Sheridan and keep following it as it curves and turns until you cross the North Shore Channel and reach Central Ave in Wilmette; turn left to head west on Central; keep heading west on Central until you reach the train tracks; before you cross, turn right onto the Green Bay Trail, which runs parallel to the tracks; follow the trail northwest until you reach Kenilworth Ave, then turn right; head northeast on Kenilworth until you reach Sheridan; follow Sheridan south as it curves and turns back to the Arch. 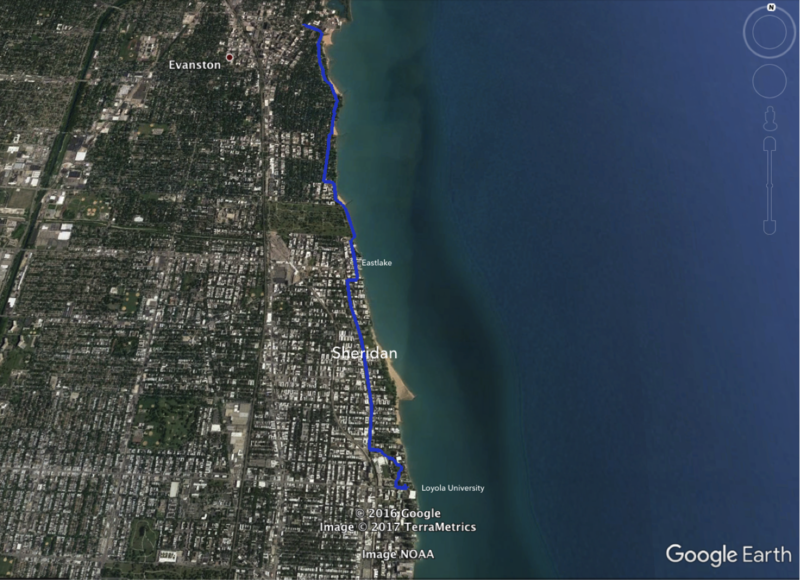 Directions: Set out east along Sheridan towards the lake; turn right on the bike path; follow it until it ends, then head south along Edgemere Court until you meet up with Sheridan; continue south along Sheridan Road until Sheridan Square; turn right onto Sheridan Square and follow it until it meets up with Sheridan Road again; follow Sheridan Road south along the lake past the cemetery; once past the cemetery, turn left onto Eastlake Terrace; head south along Eastlake until you have to turn right onto Birchwood Avenue, then head west; turn left onto Sheridan Road to head south; follow Sheridan south until Loyola Avenue; turn left onto Loyola and then make a right at the path to make your way south onto Loyola’s campus; follow the path as it curves through the campus; turn around and repeat to head home. 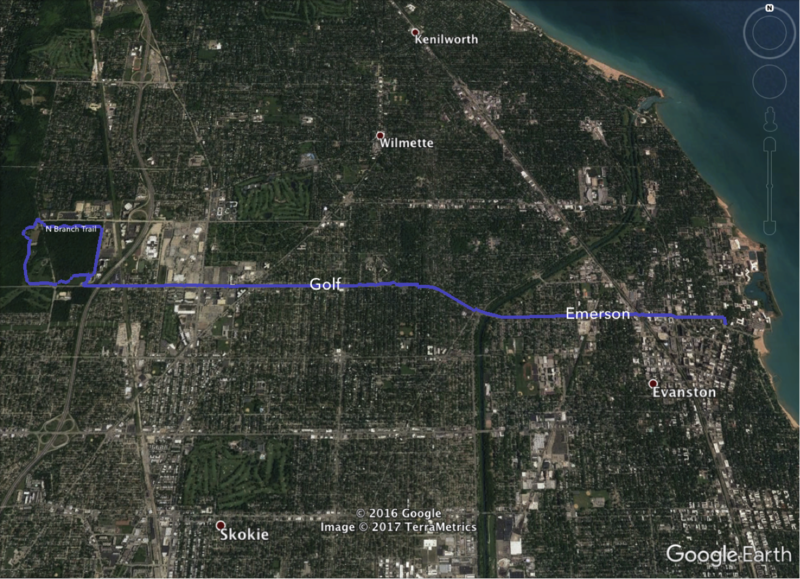 Directions: Cross Sheridan and head north to Emerson; turn left on Emerson; follow Emerson west – it turns into Golf Road when you cross into Skokie; once you pass under I-94; turn right into the parking lot of the Illinois Holocaust Museum and Harms Woods Forest Preserve; follow the North Branch Trail north; after it turns west and crosses Harms Road, turn left to head south on the trail; cross back over Harms Road at the intersection with Golf to head east; follow the trail back to the parking lot, then follow Golf and Emerson back.